Okay, you’re probably still noodling out the final details of that great idea you have for the poster session on epigenomics or pharmacogenomics or microbiome. Or did the big news about Mayo Clinic and the Center for Individualized Medicine being selected by the National Institutes of Health to serve as the national Precision Medicine Initiative (PMI) Cohort Program biobank send you off on a new angle for your abstract? 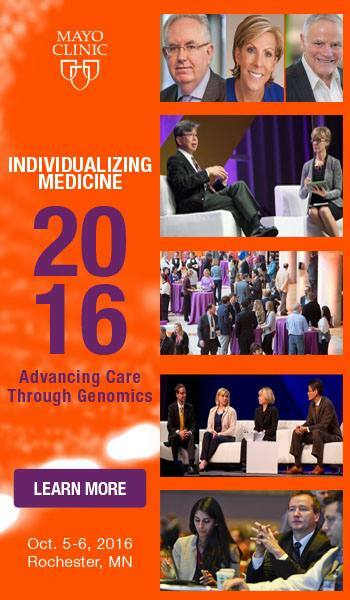 Well, the good news is there’s still time to submit that abstract for Individualizing Medicine 2016: Advancing Care Through Genomics. The deadline for abstract submissions is June 20, 2016. 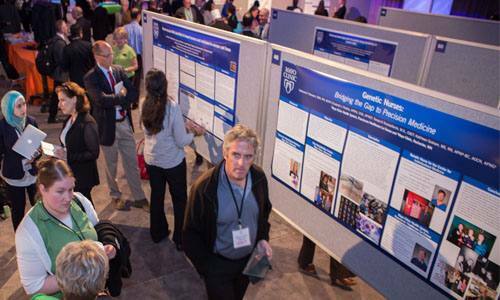 Everyone who regularly attends medical conferences understands the value of the poster sessions. Great ideas or the next generation of breakthrough discoveries often are presented at the poster sessions. Poster opportunities are available during the main conference, as well as the Upper Midwest Clinical Genetics conference, Epigenomics and Microbiome Sessions on Friday, October 7. Abstract submissions are reviewed independently. So stop noodling over that great idea and submit your abstract now! 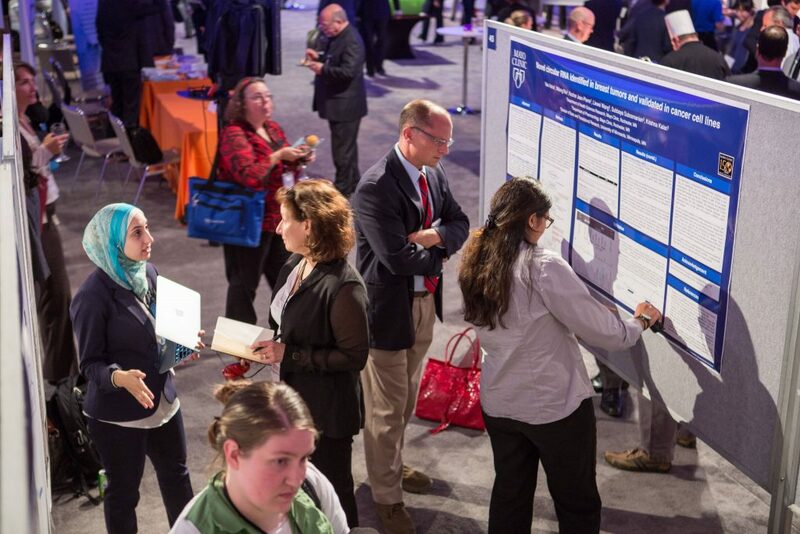 In addition to a great poster session, the Individualizing Medicine 2016: Advancing Care Through Genomics has a lineup of experts to talk about the latest breakthroughs in genomic medicine. Hosted by the Center for Individualized Medicine, the fifth annual state-of-the-art genomics conference takes place October 5–6, in Rochester, Minnesota, home of Mayo Clinic. Also, joining us at the conference will be Kathy Hudson, deputy director for Science, Outreach and Policy at the National Institutes of Health, and Teri Manolio, M.D., Ph.D., director, Division of Genomic Medicine, National Human Genome Research Institute. The conference focuses on how to translate the promise of genomic medicine into better patient care. Experts in the field will offer updates on cancer research, on the latest discoveries in pharmacogenomics and what is happening with the NIH Precision Medicine Initiative. Focused breakout sessions and case studies will go into the details of research and their application to every day care in areas such as epigenomics, the microbiome, biomarker discovery, and more. Experts in the field will be on hand to share their insights and experience. You may also learn more about the conference on our video blog series, “Story by Story.” Captured on the Gonda elevator by our mad videographer, Individualizing Medicine Conference Director Caer Vitek talks about this year’s conference, what’s new, what’s exciting and why it’s the state-of-art genomics conference you can’t miss.